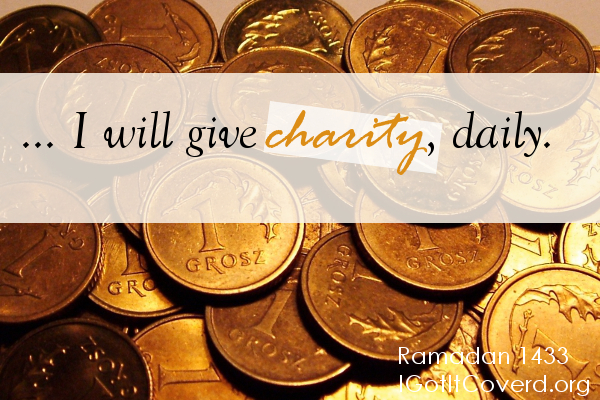 This Ramadan… I will give charity, daily. Outside, in the lit up parking lot of the masjid, you walk slowly towards your car, relishing in the gentle caress of the wind against your face and its playful tug at your hijab, inhaling deeply the warm, earthy scent lifting up from the ground where the rain fell fresh just moments before. It is almost midnight after the third night of praying taraweeh; and as your feet carry you away from Allah’s house, you feel somehow lighter. The Imam’s recitation included ayahs from Surat al-Baqarah related to spending, and in the short talk in between, he gave a reminder about sadaqah, about the spirit of giving in Ramadan. So on your way out of the masjid, you emptied the contents of your wallet without counting, bills and coins and a stray peppermint that fell through the slot of the donation box before you had time to catch it. You got paid at work today, so you know you had over fifty dollars in cash. It wasn’t so much your purse that felt lighter, though, it was your heart. Lighter for having given. Lighter for having heard the Words of Allah and the example of His Messenger, and rushing forward to follow them. Your heart aches because you want so much — in your own, small way — to resemble a generous wind… Maybe you can just be a zephyr, small, gentle breeze that it is. But with so little to give, how do you compete with the generosity of the generous? 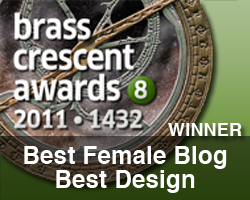 How do you vie for a similar reward? Allah tabaraka wa ta’ala is so Gracious, and so Appreciative… He doesn’t ask much of us. He doesn’t burden us with more than we can bear. He’s not in need of our charity, but He asks us to give for our own good, our own purity. And He loves that when we do something, we keep it up and do it consistently. Your sadaqah doesn’t have to be immense. And when times are tight, remember that it doesn’t have to be just monetary. If half a date can save you from Hell-fire, then don’t be shy to give half a date. If smiling in the face of your sister can be charity, then smile once with the hope that Allah will accept it, the hope that this one act will leave you smiling eternally in the Hereafter. If you can’t spend much, then give a little, but give consistently. Give a little, but give sincerely. Give what you can now with the intention of giving more when times are easier. Allah subhanahu wa ta’ala doesn’t look at our pockets, but at your hearts. All He asks us is to be sincere to Him and truly seek His Face and His Pleasure. Give of your time. Give of your skills. Give whatever you can, but give. And do it daily. This Ramadan, change your perspective on sadaqah. The Prophet (salla Allahu alayhi wasallam) advised: “Save yourself from Hell-fire, even by giving half a date in charity” [Bukhari]. Where can half a date take us if we were to consider it at face-value? Really, what is half a date in terms of Allah’s immeasurable wealth? So break your fast with half a date, and if you have nothing else, then — literally — give the other half to someone who hasn’t broken their fast yet. And be amazed at Allah’s generosity and mercy. — Put a bit of change in the sadaqa box on your way out from taraweeh. Whenever you receive a gift of money, or your salary, or any monetary benefit, take out a portion from it out of gratefulness to Allah. — Donate a few volunteer hours to help out at the masjid. — Help out with local projects such as food drives, volunteer at soup kitchens, etc. — Share a good word, spread some knowledge, impart beneficial advice, lend an ear. — After iftar, help clean up and pick up leftover litter if you’re at the masjid. — You’re fasting. Consider all the coffee/tea/snack breaks you would take on a normal basis, and donate that amount for the sake of Allah. — Smile. Sincerely. At everyone you meet at the masjid. And greet them well. — Set up water bottles at taraweeh prayer for the worshippers so they can quench their thirst and make du’aa for you. — Prepare food for others and partake in the extra reward, not only for that of charity but for their fast as well. — Donate your time to your loved ones, and those that you may have been neglecting throughout the year. This Ramadan, give charity daily… Look for unique ways to be charitable and make the lives of those around you even a tiny bit better. Consider sadaqah an amazing and exciting opportunity for you to draw closer to your Lord.